As a pastor, I'm often asked, "How do I know God's will when I have to make a difficult decision?" This is difficult question because it is usually tied to a potential, significant change in the person’s life. Change creates anxiety in most of us. We are concerned about whether we're going to make the right decision. What will happen if I choose poorly? Will this ruin my life? At this point of near panic, I usually encourage friends to take a deep breath. Seek the Lord in prayer. Often we pray together, asking for peace, wisdom, and discernment in making the decision. The question isn’t if change will happen, but when it will happen. The Greek philosopher Heraclitus said, “Change is the only constant in life.” Every person goes through changes and needs discernment for life's big decisions. So, how do you make decision about your calling? Recently, I had a significant decision to make. Our church leadership asked me to consider a new position, Pastor of Connections. The new role focuses on assimilating newcomers into the church and cultivating a volunteer culture. Frankly, the decision was a difficult. It would be a significant change for my family and for me. I have been a Pastor of Families for ten years. It's the only position I have had at The Journey. Over that decade, I've studied family ministry, gained experiences in pastoring and caring for families, and I've built a network of relationships with other family pastors (including these two jokers I blog with). As I processed this new opportunity, I found myself asking, "How will I respond to a new role and new rhythms of life?" 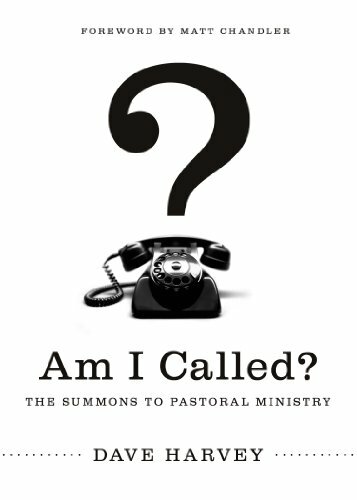 Tim Keller gives three factors to help ministers and potential ministers identify their calling. These factors are affinity, ability, and opportunity. First, Keller encourages us to look inward and evaluate our passions. Who are the people to whom we are most drawn? Second, a minister must seek feedback to make an assessment of his abilities and deficiencies. Ask, "For what opportunities am I most gifted?" Finally, there is only a true calling if there is an opportunity or opening. So the minister should ask, "Where am I needed? Where is there an opportunity available?" These questions guided me as I considered whether or not I should accept this new role. I used these questions as a blueprint as I talked to friends inside and outside my local church for guidance. The process was encouraging and clarifying. My friends helped me to see who I am and what I am called to do for Christ. They helped me my giftings see that the Pastor of Connections role is a good fit. What began as a decision filled with anxiety because of all the change before me transformed into an exciting opportunity that I'm excited to explore. So, as you may know if you're part of our local church, I have happily accepted a new position as Pastor of Connections at The Journey - Tower Grove. I will continue to contribute here to the Gospel Centered Family blog. I will be sharing some lessons I'm learning about hospitality and cultivating our volunteer culture. One of my takeaways from this discernment process is that I need to evaluate my calling more often. In the eight years I have been at The Journey, I had never taken the time to do this. Looking back, I believe it would have been helpful to regularly receive challenge and encouragement to confirm where I am called to be and to whom I am summoned to minister. Wherever you are serving, I would encourage you to seek feedback about your current role--whether you are a volunteer or a staff member at a church. When was the last time you evaluated your affinity, ability, and opportunity?